Time to put the trash out again, this time we found a package of Créme Brûlée dessert cups that we had gotten on sale at Costco. These little gems of “expired” custard are just too delicious to let go to waste, so we decided to let them go to waist. Everything was sealed properly, they had been refrigerated the whole time and there we no questionable signs. 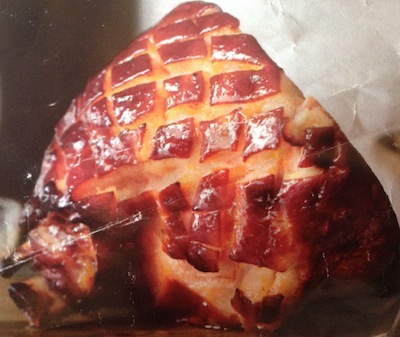 So, we baked them up as directed. Sorry about the above picture being partly upside down, but we wanted to make the best by date on the “expired” custard easy to read. Often hidden on products, the date is clearly visible on this product. 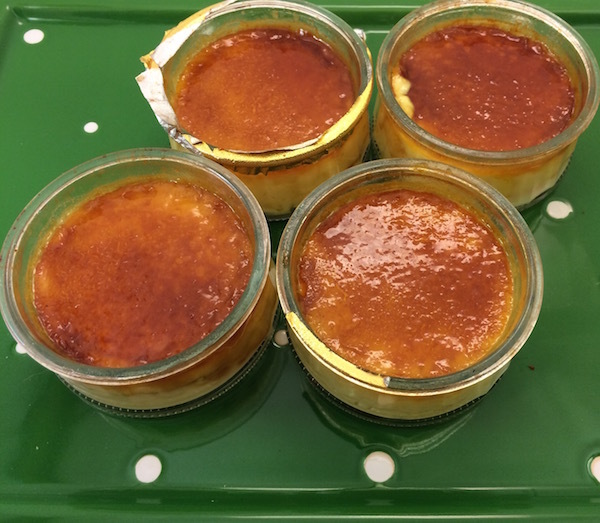 With a best by date of May 15 2007, and Monday’s date when we baked the individual custard containers being June 20 2016, these little desserts were about a month past their best by date by the time we got around to baking them. 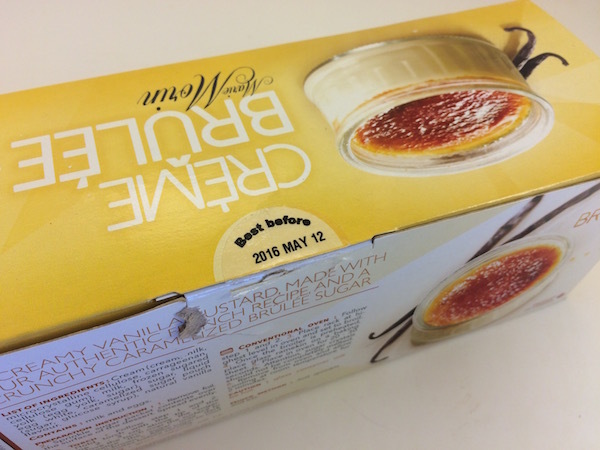 These “expired” Créme Brûlée containers baked up well and still tasted creamy and delicious, just like they should. To find the shelf life of pudding, see our pudding page.